One days left to take admission in LPU DE Programmes with late fee.Click Here for Programme Details. The University does not possess a study center/examination center beyond its jurisdiction and does not possess Study Center in franchisee mode even within the territorial jurisdiction. LPU students of Distance Education pose before the main entrance to the worthy Chancellor’s office. During campus visit, students of Distance Education get to showcase their creative talents to entertain their fellow students. 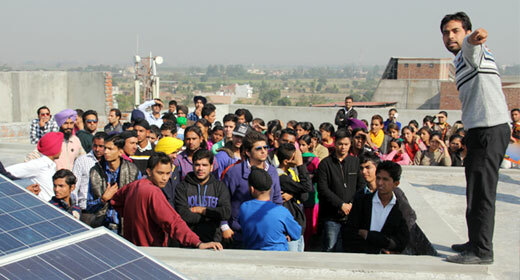 During one of the campus visits, the students pose for a group photo as a memento of their visit. DE Students are shown important features at the University such as Library, Uni Mall, Skating Rink, Bowling Alley, Sports Ground, various Auditoria etc. Distance Education students listening raptly to University Official during an interactive session in a lecture hall. 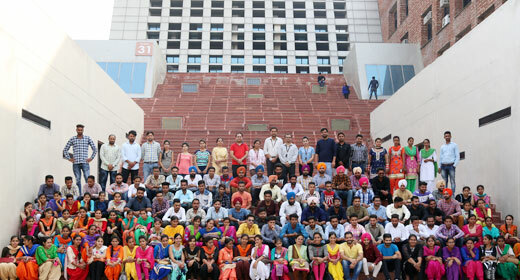 Distance Education students getting oriented about the University system, e-Connect, Study Material, Student Support Services etc.